Beginning his career at his hometown club Lossiemouth, where he made his debut ages just 15, Alan joined Elgin City before signing for United in November 1986 for a fee of £8,000. He made an early first appearance against Montrose in a Forfarshire Cup tie a few weeks later, and made his competitive debut aged 19 in March 1987 in a Scottish Cup replay against Forfar Athletic after the Station Park club had earned a 2-2 draw at Tannadice. Battling with Scott Thomson to be Billy Thomson's understudy, Alan was an unused substitute against Barcelona at the Camp Nou and against Borussia Monchengladbach at Tannadice as United made their way to the final of the UEFA Cup, and played in two league matches at the tail end of that season as manager Jim McLean utilised his squad to cope with that long, hard season. 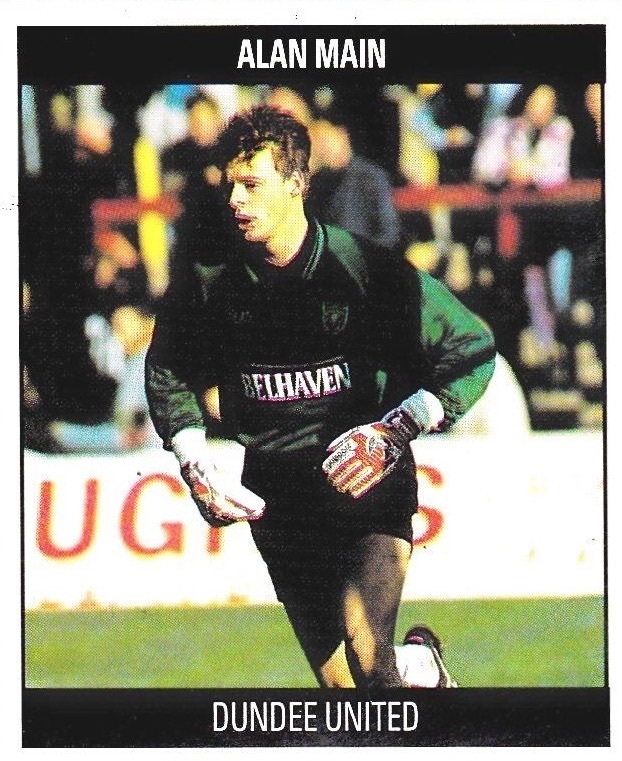 With Billy Thomson out injured for a spell during the 1987-88 season, Alan was first choice keeper for a couple of months, before going out on short term loans to Cowdenbeath and East Stirlingshire. However, in October 1989 he took over between the posts and had the No.1 jersey for the next two seasons, collecting a Scottish Cup runners-up medal after the final against Motherwell in May 1991. 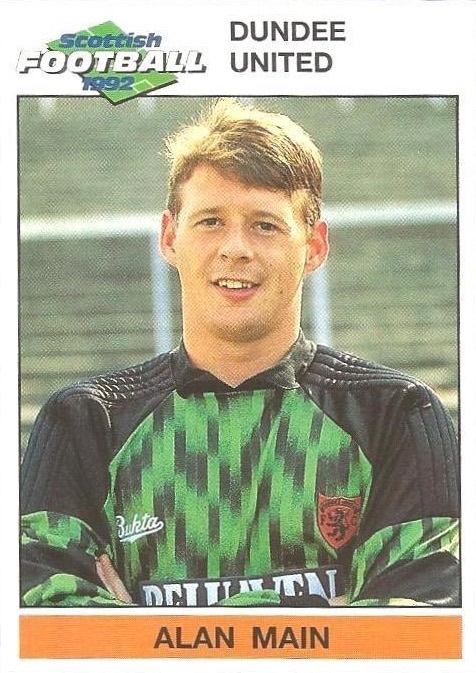 New arrival Guido van De Kamp became first choice for the No. 1 Jersey in 1991-92 but, by February 1992, Alan had taken over again. 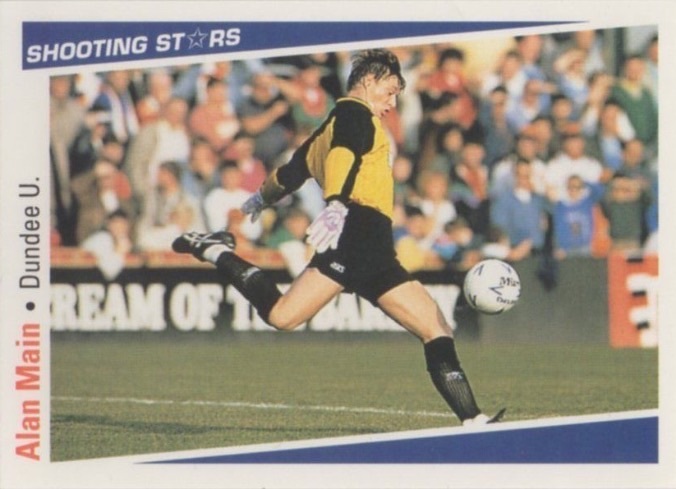 Previously a Scotland youth and under-21 internationalist, Alan's form saw him called up to Andy Roxburgh's Scotland squad for a match against Malta in November 1993. However, a serious back injury prevented him making his Scotland debut, with the injury requiring an operation that kept him out of action for nine months - missing out on United's Scottish Cup final victory over Rangers in May 1994. 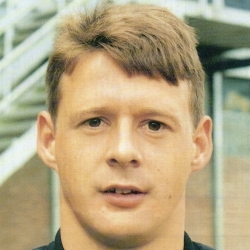 He recovered to get back in contention for the 1994-95 season, but lost his place to Kelham O'Hanlon in October, and in January 1995 he left United to join Paul Sturrock's St Johnstone side for a fee of around £150,000. He helped the Perth side to promotion in 1996-97 and collected a League Cup runners-up medal in 1998. He also received further Scotland squad call-ups and gained a Scotland 'B' international cap against Norway in 1998. After eight years with St Johnstone he moved to Livingston, where he collected a League Cup winners medal as an unused substitute. In October 2004 he joined Gretna, and was with the Borders club through their meteoric rise to the Premier League, collecting a runners-up medal with them in the 2006 Scottish Cup final. He returned to St Johnstone in July 2007, playing his part as the Perth club won promotion to the SPL in 2009, and received a testimonial year in 2010 before joining the coaching staff at Rangers. Alan was born on this date in Elgin. 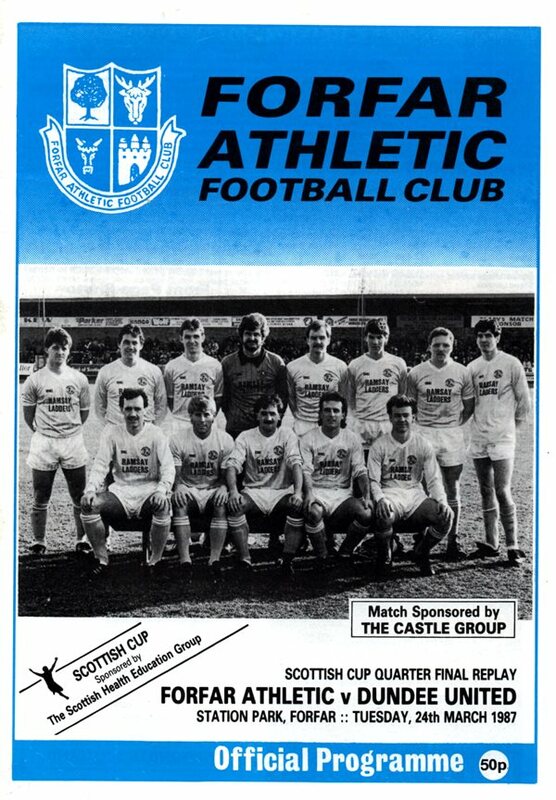 A 2-0 winning scoreline and Forfar penned in their own penalty area for the last quarter of an hour clouded what was episode two of the great escape. Undoubtedly there was no complacency in the Tannadice camp after the scare we were given at Tannadice. Certainly the way in which we began the replay in fine style. The real drama of the first half came in the 27th minute. Dave Narey tripped Kenny Ward in the corner of the box. Kenny MacDonald's spot kick was brilliantly tipped on to the post by Alan Main, deputising for the injured Billy Thomson. From the rebound a goalmouth melee ensued which ended with Jim McInally conceding a second penalty, when he made a diving save with his hands. Incredibly, John Clark side-footed the second spot kick wide of the left hand post.